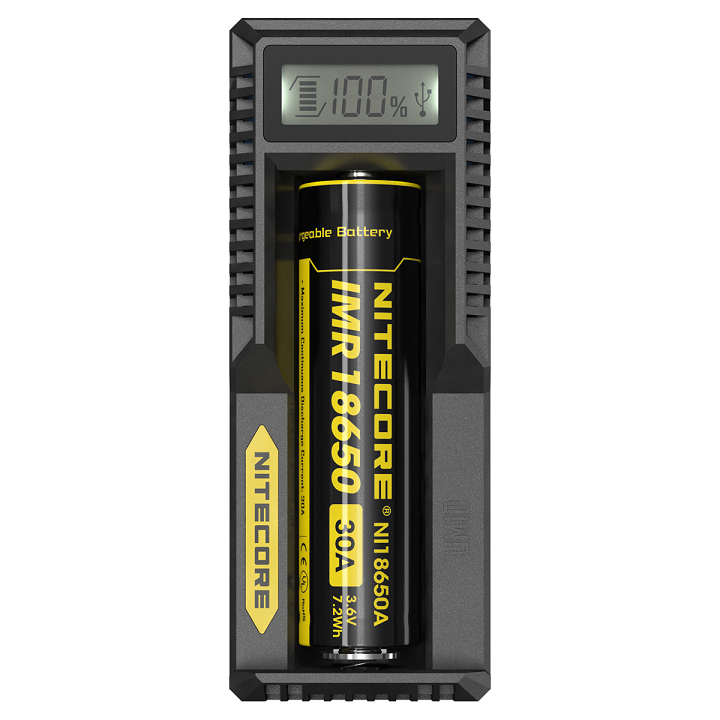 The Nitecore UM10 features a smart chip that automatically detects variables for maximum efficiency. The front-mounted LCD screen displays charging status in real time; power levels are easy to monitor. 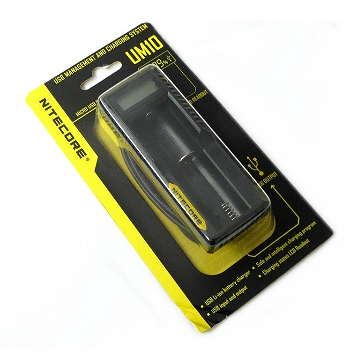 The Nitecore UM10 has a single bay and two charging ports that allow you to charge a battery and an external device simultaneously. One of the most useful features of the Nitecore UM10 is the ability to choose charging priorities during low power situations. 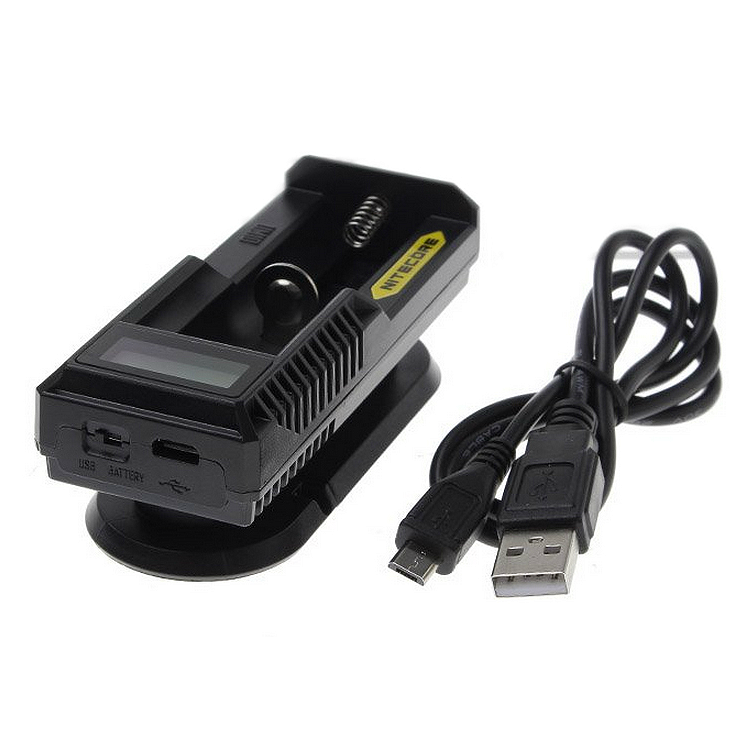 When there is enough input, the UM10 charges the battery and the external device together. When input is not sufficient, Priority Mode is activated and it charges the device you prefer. 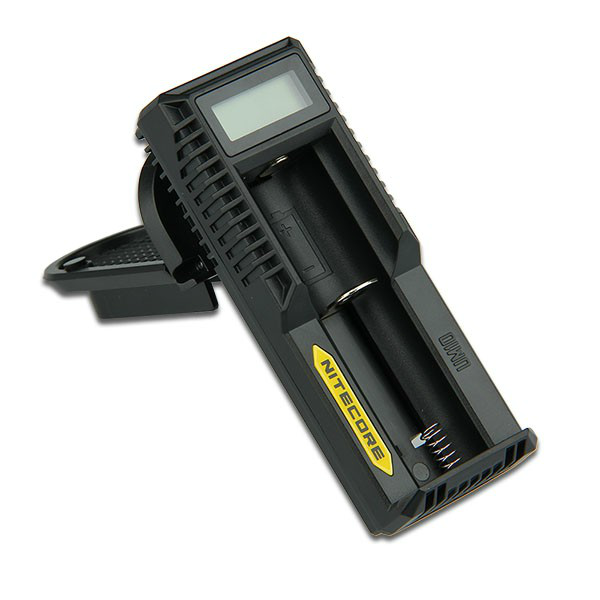 Another great aspect ot the Nitecore UM10 is that it automatically selects charging current based on battery parameters. The UM10 can also detect input power and channel power very effectively. 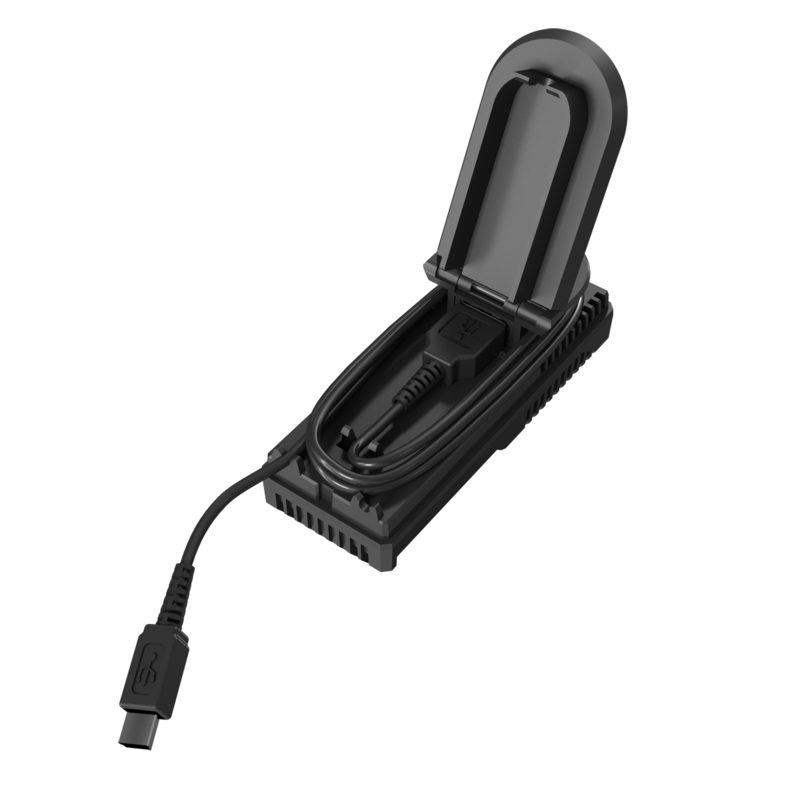 Using the USB port at the back, you can also transfer data to/from your device while it is being charged. In terms of safety, the UM10 is made with fire-retardant ABS plastic and equipped with a reverse polarity protection system - it even has a dedicated cable winder at the back to put an end to cable clutter.